What Does My Meter Measure? Electric Consumption is measured by kilowatt hours, known as kwh. Some meters have four dials, while others have five, but the method of measurement is the same. How can I track my monthly usage? PEC divides its service area into billig cycles, one for each business day of the month. 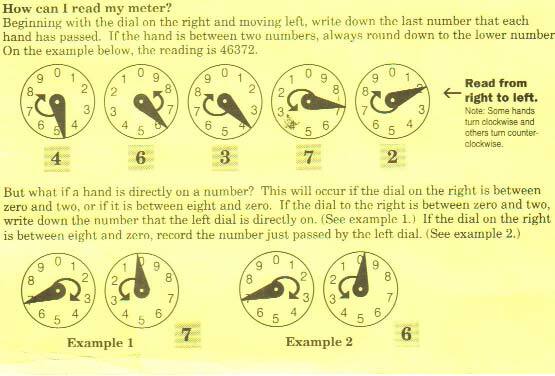 On each monthly statement, you will find the exact date that your meter was read. Learn to read your meter and you can determine your monthly consumption just as PEC does. Simply note your usage for two consecutive months and then subtract the previous reading from the present. For your readings to agree exactly with the reading on your bill, however, you would have to read your meter at precisely the same day and time as our meter reader.